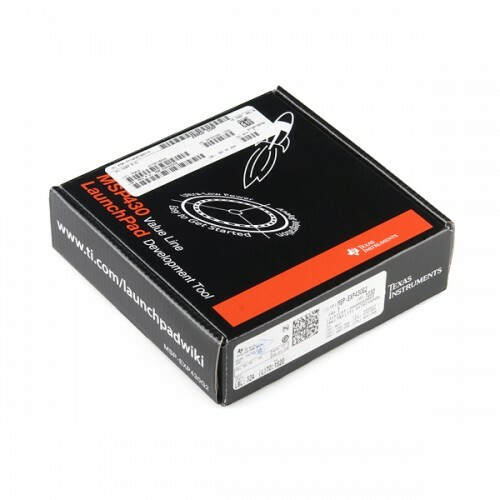 The LaunchPad development tool is a part of the MSP430 Value Line series. The integrated DIP target socket allows all 14 and 20-pin MSP430 Value Line devices to be dropped into the LaunchPad board for easy programming, debugging, and monitoring. Included are free unrestricted and downloadable software development environments for writing and debugging software. The LaunchPad can be used to create interactive solutions thanks to its integrated buttons, LEDs, and extra input/output pins for easy integration of external devices. Easy-to-use – LaunchPad includes all of the hardware and software needed to get started. Pre-programmed devices and code examples help users get up and running quickly. Affordable – the LaunchPad includes a development board, 2 programmable MSP430 microcontrollers, mini-USB cable, PCB connectors for expandability, external crystal for increased clock accuracy, and unrestricted software integrated development environments (IDEs) – everything you need to get started today. Scalable – The LaunchPad is a simple introduction to the MSP430 microcontroller family. As application requirements change, programs developed on the LaunchPad can be migrated to higher end MSP430 devices.